Dr. Jaclyn Debs completed her Doctor of Chiropractic degree at Logan University in St. Louis, Missouri. She was awarded the Chiropractic Science Division excellence award upon graduating. 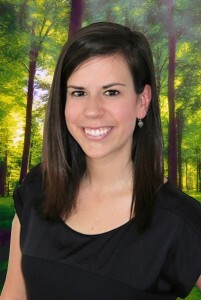 Dr. Jaclyn has been working in a family wellness practice since graduation. She enjoys getting infants started on the right journey towards health and wellness through chiropractic. Dr. Jaclyn enjoys continuing her education and attends seminars on chiropractic treatment of pediatric and pregnant patients. In addition, she is certified in Applied Kinesiology, Webster Technique (which evaluates the neuro-biomechanics of the sacrum in pregnant patients), and is Certified by the Academy Council of Chiropractic Pediatrics. She is a member of the Massachusetts Chiropractic Society and International Chiropractic Pediatric Association. As part of a chiropractic family, Dr. Jaclyn has been receiving chiropractic care since she was 7 days old. In her spare time she enjoys hiking, Bikram yoga, reading, skiing, and spending time at the beach. Are you seeking a healthier, more rewarding life? Call (508) 425-3304 today to find out how we can help you get there.